We need to make room for LOADS of new product coming in. But, what does that mean for you? 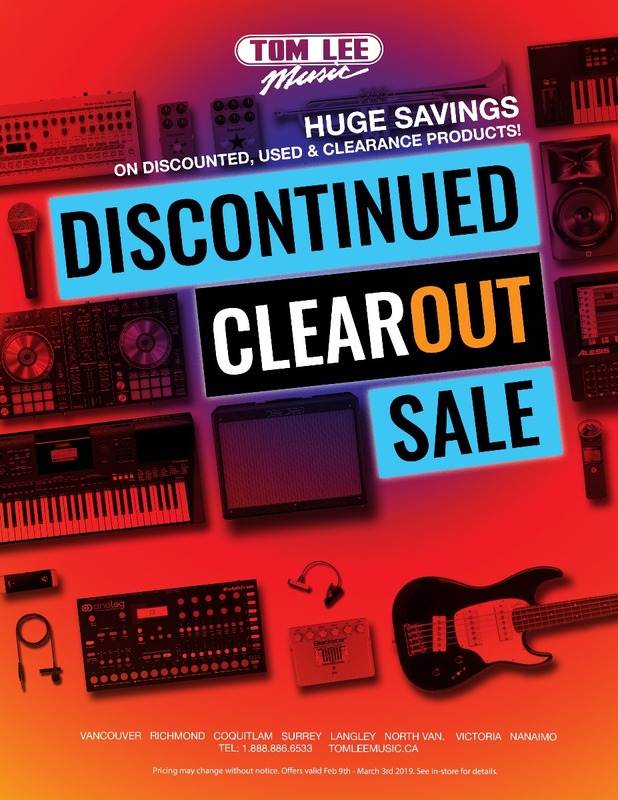 From February 8th to March 3rd, we're dropping the prices on discontinued, clearance, AND used products! This could be the last time we'll have certain items in stock, so grab them before they're gone for good! IMPORTANT: Due to supplier restrictions thousands of incredible sale items are only available in-store. Please visit or contact your nearest Tom Lee Music location to buy items that cannot be purchased online.